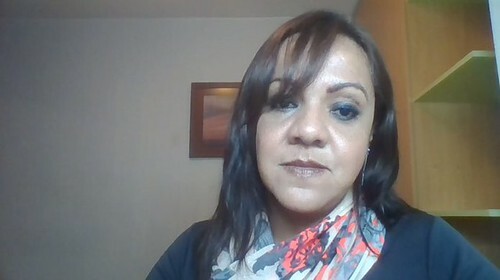 Maldonado, who founded Agencia Mexicana de Noticias Noventa Grados in Morelia in 2007, covers a range of subjects, including crime and violence, corruption, and socioeconomic issues. The email says that information published by Noventa Grados has become “uncomfortable” to Martín Godoy, the state attorney general, and Rodrigo González Ramírez, who heads the state’s anti-kidnapping unit. The email ends with a series of implicit death threats, including a reference to Rogelio Arredondo Guillén, the director of Investigation and Analysis of the state attorney general’s office, who was killed on July 1, and warns Maldonado that if he writes one more article it will be his last. On July 13, Noventa Grados published an article about alleged ties between Arredondo and organized crime, following earlier pieces in March and May alleging ties between Michoacán law enforcement and other crime, such as gasoline theft. Maldonado told CPJ that he believes the death threats are a direct response to at least some of those articles. A spokesperson for the state attorney general’s office said she was not authorized to provide CPJ with comment on the case. Several phone calls that CPJ made to the office of Godoy on July 24 and 25 went unanswered. Maldonado told CPJ he has been threatened before over his coverage of law enforcement. The Federal Protection Mechanism for Human Rights Defenders and Journalists has provided him with protection since 2015, after he and his family received several threats over his reporting. He told CPJ the mechanism provided him with a panic button. A spokesperson for the mechanism told CPJ yesterday that his institution is reviewing possibly providing additional safety measures for Maldonado, including police protection. Ricardo Sánchez Pérez del Pozo, the federal Special Prosecutor for Attention to Crimes committed against Freedom of Expression, told CPJ yesterday that he is aware of the threats and that his institution, which works under the auspices of the federal Attorney General’s Office, has opened an investigation. He said that Maldonado needs to give an official statement to the FEADLE. The journalist told CPJ he intends to do that as soon as possible. Mexico is one of the most dangerous countries in the world for journalists. In 2017, at least four journalists have been murdered and one was abducted there, according to CPJ research, CPJ is investigating the case of a fifth journalist to determine if his killing is directly related to his work. A top Turkish correspondent delivered a powerful defence of press freedom as he took the stand in the largest trial of journalists in the country, saying he was being punished for doing his job and criticising Turkey’s slide into authoritarianism. Kadri Gürsel, one of 17 journalists, lawyers and executives from Cumhuriyet, Turkey’s oldest newspaper, who are standing trial on charges of aiding and abetting terrorist organisations, urged the presiding judge to drop the charges, saying the fact that he was standing trial on flimsy accusations was proof that his warnings of creeping authoritarianism were prescient. “I am here because I am an independent, questioning and critical journalist, not because I knowingly and willingly helped a terrorist organisation,” he said. “Because I have not compromised in my journalism and I am persistent until the end. All these accusations directed to me are devoid of wisdom and reason, and are beyond the scope of any law or conscience,” he added. Turkey has become one of the world’s largest jailers of journalists, with 178 behind bars. Since a traumatic coup attempt last July, 173 media outlets have been shut down and 800 journalists have had their passports and press credentials confiscated, according to opposition statistics. The government crackdown on the press continued in the aftermath of the coup under the ongoing state of emergency. Much of Turkey’s media has been coopted by the government, and journalists accuse the ruling party of putting pressure on advertisers to abandon struggling opposition newspapers. They say the lawsuits and the imprisonments of journalists have created an environment of fear that promotes self-censorship. Few local newspapers reported on the start of the trial. Cumhuriyet has borne the brunt of the government’s ire because of the newspaper’s harsh criticism of its policies. It condemned as a “witch hunt” a crackdown after the coup that has ensnared tens of thousands of civil servants, judges, military and police officers, academics as well as dissidents, and endorsed a peaceful resolution to the crisis with the separatist Kurdistan Workers’ Party (PKK) at a time when tensions with the group were spiralling. It also embarrassed the national intelligence service by revealing that it had transported weapons to rebels in Syria under the guise of humanitarian aid in 2014, a leak that the government says was orchestrated by Gülenists. The Cumhuriyet trial has drawn broad condemnation from human rights and press freedom advocates, who say the allegations are unfounded and politically motivated, with the aim of muzzling the last major newspaper that is strongly critical of President Recep Tayyip Erdoğan and his ruling party. They see the threat of closure for the staunchly secular newspaper, founded in 1924, as an assault on the founding values of the republic. Hundreds of people gathered outside the Çağlayan justice palace near downtown Istanbul to protest against the trial, which is taking place nine months after the journalists were first incarcerated. People outside the courtroom clapped for the journalists as they were marched into the crowded premises, which were filled with lawyers, family members and international observers. The initial phase of the trial is expected to continue until Friday with defenc statements from the journalists, and the judge is expected to rule on whether to release them on bail while the case icontinues. On Monday, Gürsel testified, along with the head of the newspaper’s executive board, Akin Atalay. The start of the trial coincided with the National Press festival in Turkey, celebrating the declaration of a constitutional monarchy by the Ottoman rulers and the abolition of censorship in 1908, an irony that was pointed out by observers of the case. Many have also noted the apparent absurdity of the charges, whereby newspaper staff are accused of aiding and abetting terrorist organisations that they have long challenged publicly in their newspapers. The indictment accuses them of supporting the goals of the Fethullah Gülen movement – believed by many in Turkey to have orchestrated last year’s coup – and the PKK. “We will neither leave our friends and colleagues alone in those prisons nor resign ourselves to oppression, threats and thugs,” the statement added. THE BBC must do more to bridge the pay gap between ethnic minorities and white employees, according to journalists and presenters at the corporation, with some pointing out that the organisation had a “tick box” approach to increasing diversity in its programming and elsewhere. A week after the BBC revealed how many of its staff were paid more than £150,000, a former senior employee slammed the broadcaster, saying “racial diversity has taken a back seat since Greg Dyke left [the organisation]”. Of the 96 highest-paid stars at the BBC, only 10 are from a minority background. Among them is Sri Lanka-born presenter George Alagiah, who is 25th on the list with earnings of £250,000-£299,999. Radio 4’s Today presenter Mishal Husain, who is of Pakistani origin, earns £200,000-£249,999 and is 47th on the list. BBC Radio 5 Live’s presenter Nihal Arthanayake, who has been with the organisation since 2002, told Eastern Eye on Monday (24) that he was “disappointed to see a lack of ethnic minorities” in the list. “The pay gap is an issue which the BBC has admitted needs rectifying,” Nihal said. of a certain mould of people; white, male and from Oxbridge”. Commenting on the pay gap, the former senior BBC employee alleged that ethnic minorities in the organisation were “not being looked after”. “I have great admiration for (BBC directorgeneral) Tony Hall but when he’s looking at gender pay, he also needs to look at ethnic minorities as well. He has to do it all and he has to do it now,” the ex-employee said. “The most important thing is that they need to get a grip on racial diversity in the BBC because it’s just appalling. What the BBC have singularly failed to understand though is that when it comes to racial diversity, only 10 [of the BBC’s top paid stars] are in the top 100. That tells me that we’re not valued at all. Ritula Shah, presenter of The World Tonight on BBC Radio 4, told Eastern Eye that she “[regards] working for the BBC as a huge privilege”. Among those who signed the open letter were Shah, Husain, Anita Anard and Samira Ahmed. Reposting the hashtag #BBCWomen on Twitter, stars such as Mishal Husain have brought much attention to the issue by demanding that change needs to happen now. This is the first time that the BBC has had to publicly reveal the salaries of stars who earn more than £150,000. In 2014, Lord Hall announced that one in seven BBC presenters would be of an ethnic minority within the next three years. The popular presenter has been with the broadcaster for 15 years, working at Radio 1, 1Xtra, BBC Asian Network and now BBC5Live. He is on the independent diversity action plan board that hopes to increase diversity across the corporation’s programmes. The journalist who wished to remain anonymous added: “I’m just glad that this conversation has started. This speaks to our whole society. By April next year, everyone will have to reveal their gender pay discrepancies and I would be very surprised if the BBC is the only one that has this issue when it comes to diversity. If the BBC can’t get it right, then who can? Labour MP and shadow minister for diverse communities Dawn Butler said the pay gap between white and minority ethnic staff was “shocking”. Recent statistics released by the Department for Work and Pensions (DWP) following a survey of job applications showed that candidates who had a distinct ethnic minority name suffered bias. “It is a structural issue that starts with employment. We need targeted interventions that will result in a better outcome,” she said. 017 The Association of North American Ethnic Journalists and Writers is greatly disappointed by the news that forty journalists from three news outlets have been laid off in Iran , this Week. Mexican journalist Patricia Mayorga, a correspondent for the magazine Proceso, was among the recipients of the 2017 International Press Freedom Award, presented Tuesday by the Committee to Protect Journalists (CPJ). Patricia Mayorga. (Screengrab taken from Periodistas de a Pie video). Mayorga’s reporting focuses on organized crime, corruption, disappearances and homicides in the northern Mexican state of Chihuahua, according to CPJ. She also covers discrimination and violence against indigenous communities and activists in the Sierra Tarahumara region. Mayorga was also one of the founding members of the Red Libre Periodismo, a network of reporters dedicated to providing professional support to journalists in Chihuahua with the aim of promoting the free practice of ethical journalism, according to its website. Mayorga fled the state with CPJ assistance after Miroslava Breach, another Mexican journalist based in Chihuahua, was shot and killed outside her home in March. Mayorga feared for her life after receiving threatening messages, according to CPJ. She participated in the #NoAlSilencio campaign through her personal Twitter account, calling on the Mexican government to put an end to the killing of journalists. She has also continually denounced impunity now that almost four months have passed without anyone being arrested for Breach’s murder. “Your absence hurts, a lot, but we won’t allow your voice to be silenced,” Mayorga tweeted. CPJ has counted four journalists murdered in Mexico this year for reasons directly related to their work. The organization is also investigating the motive behind the killing of two other journalists and the disappearance of another. Other recipients of the International Press Freedom Award 2017 were Cameroonian journalist Ahmed Abba, Thai journalist Pravit Rojanaphruk and Yemeni reporter and blogger Afrah Nasser. “The journalists have faced government harassment, death threats, or imprisonment in their pursuit of the truth,” CPJ wrote in its official press release. All of the winners will be honored at CPJ’s annual award dinner on November 15 in New York City. Radio France International’s Hausa service journalist Ahmed Abba who was sentenced to 10 years in prison this year by a Cameroon military tribunal has been named the 2017 International Press Freedom Award recipient. The annual prize is awarded by media rights body Committee to Protect Journalists (CPJ) to honour journalists who show courage in defending press freedom despite facing attacks, threats, or imprisonment. Ahmed Abba is the only African to be awarded the prize this year, which he jointly shares with Patricia Mayorga, a Mexican journalist; Pravit Rojanaphruk from Thailand; and Afrah Nasser, a Yemeni reporter and blogger. A veteran South Sudanese journalist says he has joined the SPLM-in Opposition (SPLM-IO) Taban Deng faction to speak out on behalf of the people of Yei River state. Alfred Taban Lo Gune, who was appointed a member of parliament in South Sudan’s Translational National Legislative Assembly earlier this week, said he joined politics to bring about much-needed change for the people of Kajokeji. He told South Sudan in Focus the country needed courageous leaders like himself in the national assembly to speak up for the people. “It is my duty to do something about the situation,” Taban said, adding that he could not stay aloof while his people were suffering, either in exile or in the bush. Taban, founder and editor in chief of the privately run Juba Monitor, a daily newspaper, and a former BBC correspondent in Khartoum, said that while he was now a member of the SPLM-IO Taban Deng division, he did recognize factions within the SPLM-IO. “I have been a SPLM member for many, many years, and I still remain SPLM,” Taban said. Taban contended that the SPLM-IO was, at the moment, a unified body. “The Arusha agreement of 2104 made it very clear that the SPLM is not under the state, so there is no SPLM former detainees, SPLM-IO or SPLM in government. It is now one SPLM,” Taban told South Sudan in Focus. Various factions of the SPLM and SPLM-IO have had their own spokespersons for the past several months. Taban said that was the problem in South Sudan. Taban vowed to continue fighting for the rights of the people of South Sudan, “the rights of journalists and the rights of the oppressed” as a member of parliament. “In the media here, we were at the mercy of the government, but I still continued to struggle and I’m going to take the same struggle to parliament,” Taban said. On May 29, Taban declined President Salva Kiir’s offer to sit on the president’s National Dialogue Committee. Taban said he wanted no part in the dialogue steering team unless the president released journalists in prison and ended aggressive acts toward press freedoms in South Sudan. THE MORNING AFTER JOURNALIST PAVEL SHEREMET was blown up in his car in Kyiv last July 20, a US State Department expert told Fulbright Scholars headed to Ukraine that the post-Soviet country would only become truly democratic when journalists expose its corruption. I was among a handful of former journalists in that large DC conference room. My Fulbright project—to teach investigative reporting to the next generation of Ukrainian journalists—suddenly took on new significance. Now, after 10 months of teaching in one of Ukraine’s top graduate journalism programs, I see major challenges to reporting corruption there in a way that makes a difference, especially in the everyday lives of Ukrainians. Most investigative reporting in Ukraine focuses on high-level corruption and pays little attention to failing institutions, which is where most citizens intersect with the government. Too often, it fails to identify and humanize the victims of corruption, or show how changes could be made to improve people’s lives. Investigative reporters are largely uninterested in reporting in-depth about crime and courts, and as result they aren’t pushing the government to open these critical records. Moreover, the cadre of 25 to 30 reporters who do independent investigative journalism are constantly under attack. Even media watchdogs have disparaged their investigations. Because Ukraine is at war with Russia, journalists who report critically about the Ukrainian government—including the president, military, or police—are labeled tools of Russian propaganda. Since Ukraine’s independence in 1991, more than 60 journalists have been killed, according to the Kyiv Post, an English-language newspaper and website that has tracked the deaths. The gruesome murders—poisonings, a beheading, point-blank shootings, and the latest, Sheremet’s car bombing—are warnings to future reporters, and, to some degree, it’s working. Up and coming journalists say they are reluctant to put their lives on the line. While journalists face extreme risks in Ukraine, aspects of their professional practice also open them to criticism. Investigative journalism in Ukraine has no uniform ethical standards. Investigative reporters routinely use hidden cameras, don’t always identify themselves as journalists when interviewing people, and in their reports, use dramatic music and effects, like over-the-top re-enactments, to heighten drama. Ukraine’s journalism schools are partly to blame for the lack of quality reporting. Most are stuck in a Soviet mode in which professors with little or no newsroom experience teach theory—not the practical application of reporting and editing, and certainly not the modern skills of shooting video and using social media. Students themselves often lack the ambition to tackle investigative stories, another legacy of the Soviet system, which seldom rewarded hard work. As a result, the reporters and media executives I spoke with said journalism graduates arrive in their newsrooms unprepared to do basic stories, let alone investigative pieces. “I’m not seeing anybody coming up who can do the work,” says Vlad Lavrov, one of Ukraine’s leading investigative journalists. Last year, Lavrov offered data training for journalism students from some of the country’s best schools at an investigative reporting conference in Kyiv. Lavrov gave the students information on Ukrainian businessmen, provided access to the Panama Papers online database, and asked them to write 300- to 500-word stories from the information they developed using those and other sources. Out of about 100 students, no one produced a single story, he says. “Whenever we said, ‘You have to dig deeper, they didn’t do anything,’” says Lavrov, 40, who was educated to become a businessman but decided journalism was a better fit. The war in eastern Ukraine—which has claimed 10,090 lives, including about 2,777 civilians, and internally displaced more than 1.5 million people, according to the United Nations—has profoundly altered the climate for investigative reporting. “There are many sensitive topics—like criticizing the Ukrainian army—which if you cover them, you may be deemed unpatriotic or pro-Russian,” says Oksana Grytsenko, 36, a war correspondent for the Kyiv Post. One of Grytsenko’s recent stories looked at how people who did little or no fighting were receiving lush military benefits, while some who had suffered serious injuries were denied them. In May 2016, Grytsenko and 4,500 other journalists worldwide discovered that their names, cell phone numbers, and addresses had been posted on the internet site Myrotvorets, which purports to expose “enemies of Ukraine.” The site claimed the journalists had “cooperated with terrorists” because they received accreditation from separatists to report in the self-proclaimed Donetsk People’s Republic. Several of the journalists received threatening phone calls and emails. “It was really dangerous for some of them,” says Grytsenko, who believes she was spared any reprisals because her stories appear in English. A few months later, Grytsenko wrote a story about the Ukrainian Security Police (SBU) operating secret prisons in which they detained people who had voiced pro-Russian sentiments. I invited Grytsenko to speak to my journalism class about her work, which I hoped would inspire my students. Instead, the students grilled her about her decision to report such stories during wartime. Grytsenko told the students that such stories push the country to improve by forcing it to weed out corruption. “The real journalists are the ones who tell what the real problems are in the army, in the country, in the government,” she said. After her talk, three students out of 21 expressed a vague interest in investigative reporting, and no one wanted to cover the war. Her reasoning—echoed by several others in class—struck me as remarkably lucid for such a young journalist. Even US war coverage in Iraq and Afghanistan tended to be pro-government. Lavrov, who is technically on staff at the Kyiv Post, but whose salary is largely paid by the global Organized Crime and Corruption Reporting Project (OCCRP), isn’t surprised by the students’ attitudes. Lavrov and his colleagues Babinets and Dymtro Gnap—who have their own investigative NGO called Slidstvo.info—have been highly criticized for their reports about President Viktor Poroshenko’s administration. Last year, the three worked on a video report that aired online at Hromadske TV. Entitled “President Poroshenko’s Secret Life,” the report was based on documents that were part of the the database known as the Panama Papers. The 20-minute investigation showed a re-enactment of Poroshenko’s lawyers setting up offshore accounts while the Ukrainian army was engaged in some of its bloodiest battles with Russian-backed separatists. Poroshenko said the accounts were established to set up a blind trust, not to avoid taxes. An independent media council made up of journalism critics and lawyers summoned the reporters to defend their story. Yevhen Fedchenko, who sits on the board of Hromadske TV, has also been critical. A former TV anchor and current director of Kyiv Mohyla Academy School of Journalism, he is familiar with Western journalism standards, having been a Fulbright Scholar for a year at USC-Annenberg. Fedchenko criticized the Panama Papers’ juxtaposition of war scenes and re-enactments as an attempt to play on people’s emotions. “The Panama Papers report was a simulation of a real investigative project,” he says. In late May, OCCRP released an investigative documentary of the Sheremet car bombing, titled Killing Pavel. The documentary took almost 10 months to report and produce, and the reporters believed its quality would make it a model for future investigative pieces. Unlike the Panama Papers piece, which used moody music and special effects, the Sheremet documentary is Western in its approach and style. The 50-minute film shows reporters collecting and analyzing security footage taken near Sheremet’s apartment. The reporters—who included Lavrov, Babinets, and Gnap—painstakingly track down a man with former ties to SBU, who on closed-circuit videos appeared to be staking out Sheremet’s apartment the night before the assassination. The story suggests that SBU may have been behind the murder, and that police have done little to find the killers. The film’s narrator lists the government authorities who declined to meet with reporters. As soon as Killing Pavel was released, the stinging backlash began. The team was criticized for a host of purported offenses, including not sharing their findings with authorities prior to release. (The reporters say they prepared a two-minute video summation of their findings to show Poroshenko, but still couldn’t get a meeting, a key point that was bewilderingly absent from the film.) Media critics questioned whether the report had jeopardized the police investigation. “The authors make a claim that SBU might be involved in Pavel Sheremet’s murder. But, when watching this film, we see that there are no sufficient arguments for such a strong allegation. That is to say, there’s whipping up of emotions without a sufficient body of evidence,” Ligachova explains in an email. She also questions why reporters didn’t turn over the identity of a key witness, instead of waiting months until the documentary aired. Part of the reason investigative reporting is growing in Ukraine is that oligarch-owned TV stations have their own investigative teams, though they largely target their employers’ enemies. Even President Poroshenko owns his own media station, and seems to hold sway over the other oligarchs who own media outlets. According to a 2016 VoxUkraine content analysis, there were almost no negative mentions of the president on the country’s largest television stations, where most Ukrainians get their news. On the other end of the spectrum, there are three or four independent investigative teams, financed by Western grants. The teams produce their own content and contract with various media, usually small and medium independent outlets, to publish their work. This arrangement allows the teams to retain editorial control. The partnership gives media organizations the option of publishing or not publishing the work, but the outlets do not have any editorial input. Critics say dependence on donor-supported reporting creates a quest for big stories involving top officials at the expense of uncovering smaller-scale corruption in local city councils, courts, police departments, hospitals, and schools.